These might be the best pancakes I have ever made. That’s a bold statement but just wait until you see them. The inspiration for these pancakes came from a restaurant called First Watch. We have several locations in Kansas City and the restaurants are located in many other states as well. They serve breakfast and lunch but are closed for dinner. My dad and I meet for breakfast there about once a month. It’s a great way for us to take some time out of our busy lives and catch up with each other. Almost everytime I go I order their banana-granola pancakes. They are huge, as most restaurant pancakes are, and have slices of banana and sprinkles of granola throughout. 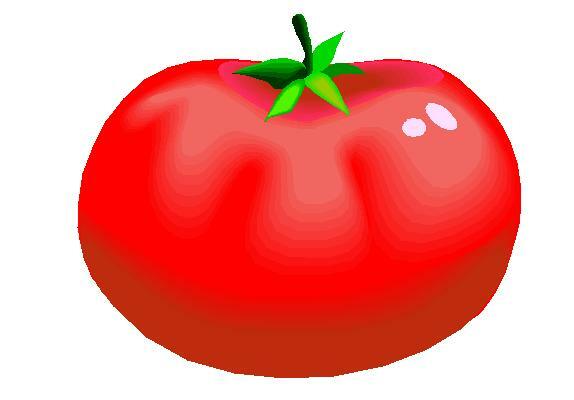 I wish I had a picture of the restaurant version, but I don’t. I’m sure my dad would’ve made fun of me for taking one! 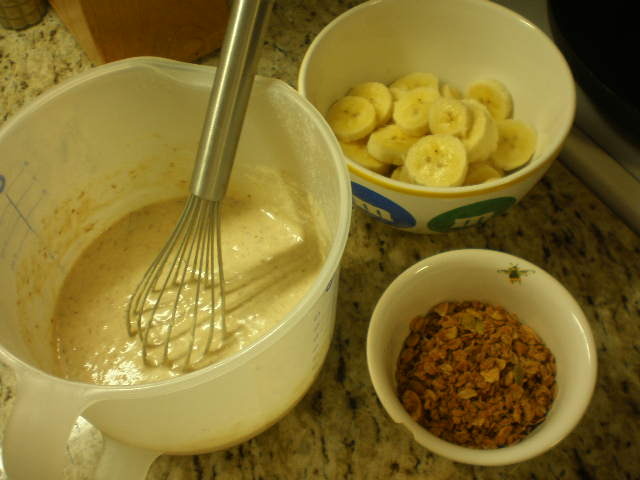 I thought the flax egg and the whole wheat flour would work well in this recipe since the pancakes are a little rustic with the granola and the bananas (and I was right!). First mix up your flax egg and set aside. Next mix together dry ingredients in a separate bowl until combined (do not include granola). Then add oil, milk and flax mixture to the dry mixture. Stir until just combined. Do not overstir. 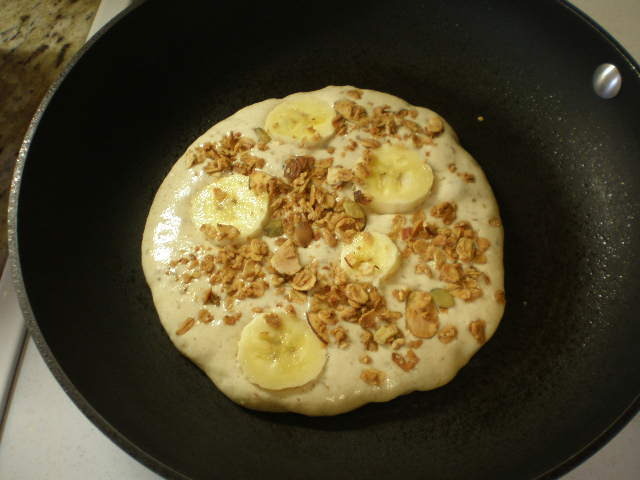 Heat your skillet to medium and gather the ingredients needed to assemble the pancakes – batter, sliced bananas and granola. As I’ve mentioned before, I like to use my 8 cup plastic measuring cup to mix pancake batter because I can pour the batter right into the skillet. I made this batter a little thinner than usual so this worked well (unlike with pumpkin pancakes where the batter is very thick). First pour pancake batter into the skillet, in the desired size of pancake. I made the pancakes a little larger than I normally do, since I was cramming a lot of extra stuff into it. 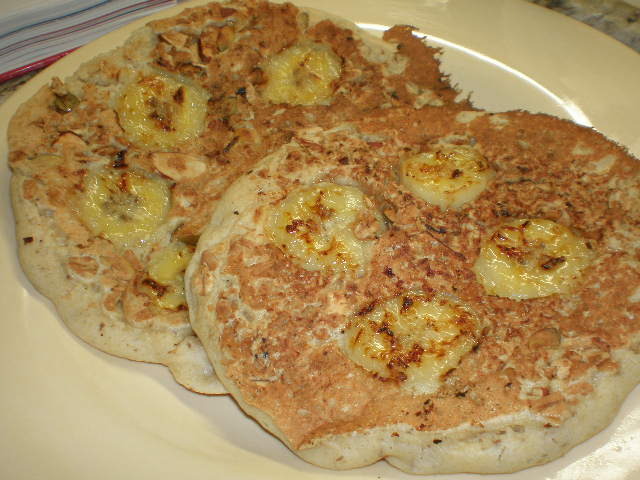 Then quickly lay several slices of banana into the pancake and poke them down into the batter. Then sprinkle with granola (poke that down a bit too if you can, but don’t worry too much about that). Thin slices of banana work better because they can get all the way down in the pancake. And the reason I sprinkled the granola on like this instead of mixing it into the batter is because I wanted the granola to stay crunchy. I know from mixing my homemade granola into yogurt that it gets soggy quickly. That might not be the case with store-bought granola, so if you want to mix it straight into the batter, go for it! Once the pancake looks dry around the edges and is bubbly on top, flip over. Now listen up. The second side of the pancake does not take very long to cook so pay attention to it. And with the bananas right on the skillet, they can start to burn easily. Since I made them so big, I only cooked one pancake at a time. I ended up with 4 big pancakes and 1 slightly smaller one for a total of 5 pancakes. This was plenty for Benzo and I and there weren’t any leftovers! 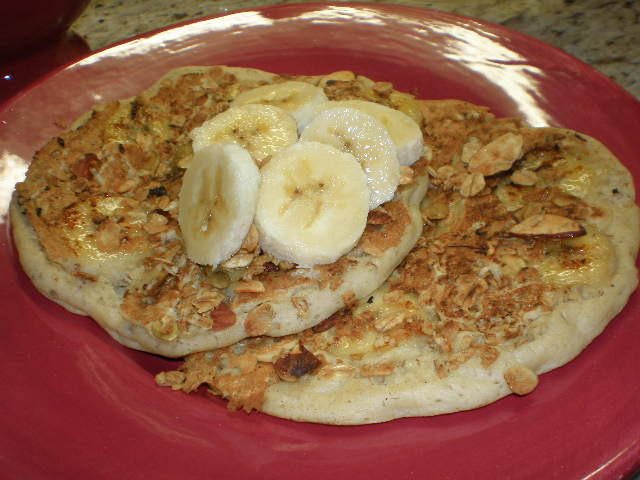 If desired top the pancakes with any leftover banana slices and an extra sprinkle of granola. Then add butter and warm maple syrup. Gorgeous! They actually look very similar to the restaurant version. I will definitely be making these again. I am having a great long weekend so far. I’ve gotten a lot accomplished. I finally got my hair cut (after 9 months!) and got started painting the trim in the nursery. This morning we are headed to church and then to see a good friend who’s in town visiting her parents, who I haven’t seen in ages. And her new baby! I can’t wait to meet her. Then tonight I’m thinking about making homemade pizza for dinner. Hopefully I’ll get a chance to finish up the painting too. Awesome. This is going in my recipe book! Thank you for sharing. Wow, what a great recipe. Can’t wait to try it.